In a bid to discover why so many rabbits end up in animal shelters, the RSPCA is launching the country's largest ever rabbit survey. The "Great Big Rabbit Survey", launched by the Royal Society for the Prevention of Cruelty to Animals (RSPCA), is asking rabbit owners throughout England and Wales to share their stories and help the RSPCA understand why people choose rabbits as their pets and why they love them. The RSPCA will also be using new scientific studies about how rabbits are kept in the UK to develop relevant and up-to-date advice on rabbit care. The Society hopes this will raise awareness and increase understanding of what rabbits need to be happy and healthy. The RSPCA is concerned that the needs of rabbits are often poorly understood which could be having a negative impact on rabbit welfare. And they are also concerned that thousands of rabbits end up in RSPCA rescue shelters every year – over 33,000 rabbits have been abandoned in England and Wales since early 2007. The charity aims to see a long-term reduction in these numbers by increasing awareness and understanding of rabbits’ welfare needs, and making potential new rabbit owners more aware of the commitment they are making. "Rabbits are our third most popular pet with around one million rabbits currently being kept in the UK. 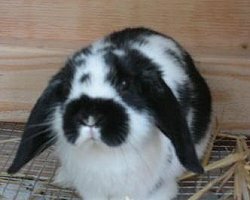 Rabbit welfare is a top priority for the RSPCA. We’re at the start of a journey to improve companion rabbit welfare so we’re asking rabbit lovers to join us and tell us what makes bunnies brilliant," said campaign manager Eloise Shavelar. The Great Big Rabbit Survey is available online until the end of 2010. Everyone who takes part in the survey will be able to download an exclusive RSPCA screensaver and be entered into a competition to win rabbit prizes including toys, grooming tools and a supply of bedding and food.